The college has a wireless guest network, which you can use to access the World Wide Web and check your personal email. PLEASE NOTE: this is an open (unencrypted) network for general use; if you require secure access please activate your institution’s VPN (Virtual Private Network) connection. If you require a secure connection and do not have access to a VPN service, please contact the IT office during working hours – details overleaf. This network is limited to 10Mb/s. The guest pass you receive will be valid for 14 day(s) once activated and can be used on up to 3 devices. 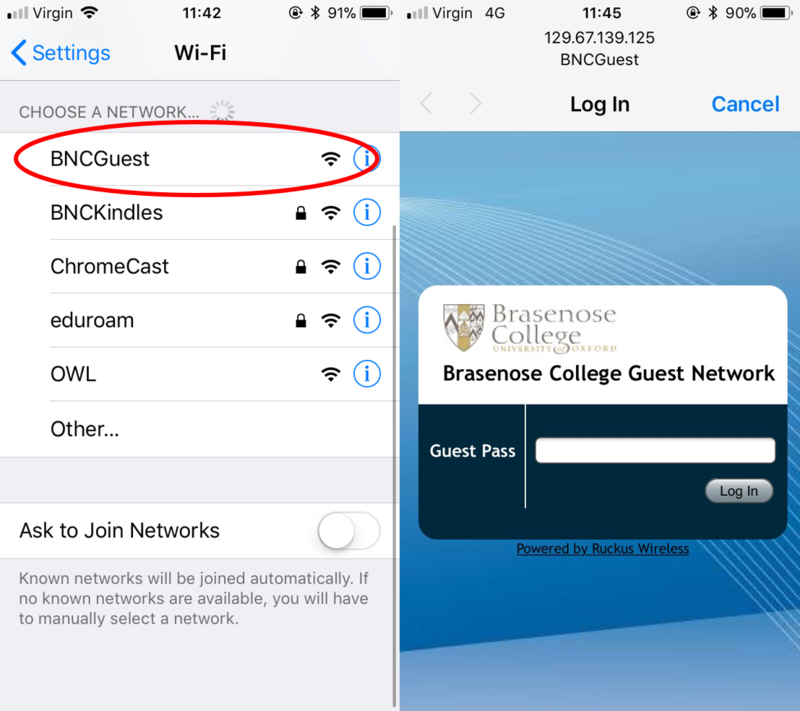 Open your device’s list of available wifi networks and look for the “BNCGuest” network. N.B You may see a dialogue box asking whether you wish to connect to an unsecured network. Select the option to accept the connection. Open a web browser and try to connect to any valid internet site (www.bbc.co.uk for example). If successful the browser will display an “Authenticated” page. Your connection is now active.